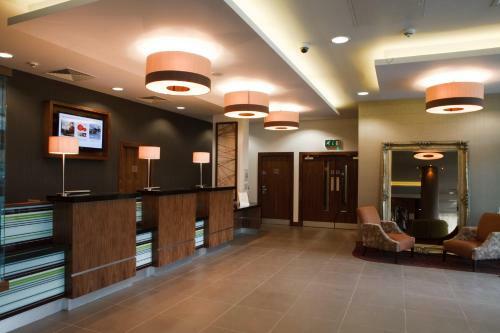 We offer a wide range of hotels near Bradford City from cheap accommodation to up market luxury hotels. Search our database of hotels to find the lowest rate for your stay closest to Valley Parade. 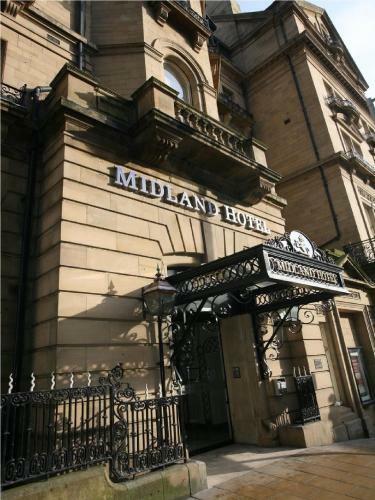 This city centre hotel offers opulent Victorian surroundings with modern day comforts, unlimited free WiFi, free off-site gym access, and free parking. This Jury’s Inn offers stylish, modern rooms just 200 metres from the shops and bars of Bradford city centre. Guests have free Wi-Fi, a cardio gym and a restaurant. Holiday Inn Express Bradford City Centre is located within the Leisure Exchange complex, which boasts a casino, ten-pin bowling and various restaurants and bars, with car parking located within the complex. With free WiFi and free parking, the Best Western PLUS Cedar Court Bradford is located just 2 minutes’ off the M606 motorway and 10 minutes’ drive from Bradford city centre and 20 minutes' drive from Leeds.